When people picture a custom landscape design, they often picture a green, flowery design filled with plants. Equally as important as the grass, flowers, and trees is the hardscape elements. Stonework, scenic walkways, patios and retaining walls all have a dramatic effect on the look and the functionality of a landscape. For over four decades, Matthews Construction and Design has been transforming landscapes through stonework, concrete work and other hardscape installations. We know Washington, D.C. and Montgomery County and the personality of these areas. Owner Brian Matthews brings an artist’s design sense and an engineer’s practicality into creating a usable space while making them more aesthetically pleasing. We consider the various textures, colors and shapes surrounding your outdoor space to determine what materials to use and if a certain structure would add to the appeal. Natural stone, brick or stamped concrete are a few materials that are common we use when constructing most hardscapes. Patios, walkways and fireplaces are good examples of hardscapes that are combined with softscapes to complete a total landscape. A stone patio that’s an entertainment focal point, a natural stone path through your garden, or a fireplace that adds warmth to every memory – whatever your vision is for your landscape, we can bring it to life with custom concrete work and stonework. Our multiple stamped concrete options give those features an intense personality that adds to your landscape design. If you like your current backyard setup, but the gray concrete isn’t visually appealing to you’d like it to be, we offer concrete staining that spruces up any monotonous surface. We have decades of experience creating hardscapes to turn your landscape dreams into reality. 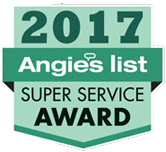 Our customers in Washington, D.C, Chevy Chase, Rockville and all of Montgomery County routinely express their satisfaction in our work, and have rewarded us with an A rating on Angie’s List. Contact us today for a consultation.